When a major energy producer off the coast of West Africa needed to expand their connectivity, while reducing their satellite spend they turned to BATS innovative stabilized microwave platform. The operators understood that the changing always-on communications landscape meant they needed to drastically rethink their communications infrastructure. What they needed was a broadband solution that enabled voice and video communications, as well as access to critical back office applications, automated production monitoring, email, and crew comfort. 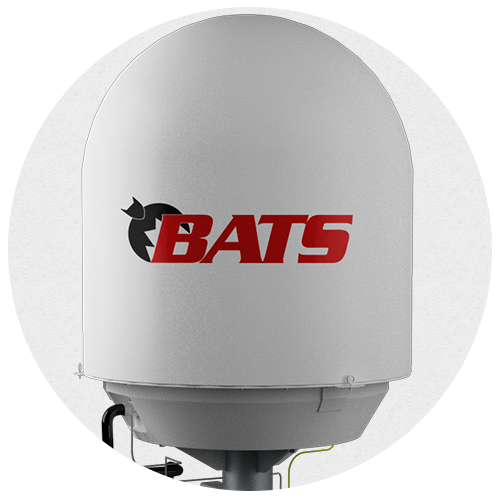 BATS’ stabilized microwave solution was ideal because it offered high-speed, ultra-low latency connectivity without the expensive recurring costs of satellite. For the operator working in the West African region, this meant a dramatic shift from a high-latency 5 Megabit per second satellite link to a speed-boost to over 700 Megabits per second with latency low enough for real-time data, voice, and video streaming. In fact, BATS was able to deliver this boost in performance complete with no data caps, no streaming limits, and no overage costs. This increased connectivity allowed the operator to not only provide expanded crew comfort applications, but was also instrumental in enabling production automation which helped to increase production while reducing ongoing costs. With BATS, the operator was able to dramatically reduce their satellite spend, saving them nearly $40,000 per month in satellite charges. This represents a massive savings, allowing the operator to significantly cut costs while maintaining or even increasing production.